Negative reviews are always challenging. For a dentist who receives one, it can cause a great deal of stress and even feel like a personal attack. Critical online reviews have the power to cause lasting damage to a dental practice. This is the reality of running a practice in the digital age. In fact, four out of five consumers have changed their mind about a business after reading an unfavorable review (src. Zendesk). Dealing with both negative and positive patient reviews is a vital issue that every practice and dentist must face. But here’s the good news: there’s a positive side to negative reviews that can actually benefit your dental practice. Digital landmine or marketing opportunity? For most dentists and medical practitioners, online reviews can seem like a field of landmines rather than a marketing opportunity. While most dentists would prefer to avoid dealing with the review, we can say with certainty that doing nothing is a terrible strategy. One out of four patients chooses their medical services based on online reviews (Segal J., 2014). Even if a person begins their search by soliciting the opinions of their friends and family, a potential patient will usually conduct an online search to read reviews and confirm whether what they have heard is true. For most dental practices, a good online reputation is critical. After restaurant and hotel reviews, reviews of dental practices and medical services are the most read online reviews – and are the most important factor in choosing that business (src. BrightLocal, 2016). With the popular surge of consumer review sites like Yelp, Google, Healthgrades, Facebook and others, it is essential for dental practices to develop processes and procedures to handle this new normal. The stakes are high – your online reputation is key to attracting new patients and even selling your dental practice when you retire. There is a positive side to negative reviews. They can help a potential new patient feel as though they’ve completed their due diligence by adequately researching a doctor or practice. Negative reviews can also help by making your overall reviews look more credible. Too many perfect reviews can create a feeling of doubt concerning the authenticity of the reviews. An occasional low rating can actually make your reviews appear trustworthy. According to a 2016 Northwestern University/Power Reviews study, the ideal credibility score is 4.2 – 4.5. Another Power Reviews study in 2014 reported that 82% of consumers actively research negative reviews. This percentage jumps to 86% in those under 45. New patients are smart. Dentists and patients alike know that occasional challenging experiences at the dentist are inevitable and that a patient will sometimes react negatively to their treatment. How the practice responds to a negative review will be the determining factor in whether the review is damaging to the practice or becomes a great marketing opportunity. New patients want to see how a practice handles negative experiences. This helps to assuage the fears of potential patients, and assure them that the reported issues are not indicative of the overall quality of the practice. Dentists and other medical professionals are in a unique and challenging situation. By law, these professionals are not allowed to respond to negative reviews in cases where the response exposes any patient health information. Most businesses are allowed to respond to a customer complaint directly and tell their side of the story. Due to state privacy and HIPAA laws, a dentist cannot acknowledge, without the patient’s written consent, that an individual was a patient at their practice. A patient can discuss anything about themselves and the dentist, but if the dentist or practice responds with any information specific to that patient, the dentist will be in violation of HIPAA. HIPAA fines can be steep and medical clinics have been fined over online communication violations. Medical practices can even be fined for posting positive reviews and testimonials on their website without written consent from the patient. If you have any questions about testimonials or reviews, First.Dentist can address all of your concerns. We will help you navigate the challenging digital medical marketing world while staying compliant with HIPAA. Dentists in many states require written consent to communicate electronically with their patients. If you believe a review could be improved or removed by communicating with a patient to address their concern, make sure that you have their written consent for contact by email before you send them any electronic communication. If you don’t have consent to email the patient, phone them. Phone calls offer a deeper opportunity to engage and resolve complicated issues that may be emotionally charged. In most circumstances, dentists can reach out to patients by phone. If you can’t identify the patient, you are allowed to post a comment inviting the unhappy reviewer to contact you. Research done by Yelp revealed that many business owners were able to improve reviews after politely reaching out and offering to address the complaint personally. Whether it’s a legitimate gripe or a genuinely upset patient, negative reviews must be addressed quickly. However, don’t respond immediately – wait at least a day before responding or reaching out to the reviewer. No one likes a negative review and you’re going to feel justifiably unhappy about receiving one. A proper response can create a much better impression on potential patients than ten new positive practice reviews. Read on for suggestions about how to turn a negative review into a positive opportunity. Write a response that demonstrates your practice is committed to continuous improvement and patient satisfaction. Refer to policies and general patient care to avoid HIPAA violations. A positive strategy might include updating a patient review on changes to practice policy that have been made in response to feedback. Write to allay the fears of future patients. What would happen if a new patient researching your practice had the same issue as the reviewer? How will the practice deal with a worst case scenario? How you respond will determine how their fears or concerns will be avoided or confirmed. Your response demonstrates how you actually care for your patients. Testimonials and reviews work best when the fears and concerns of new patients are addressed by the reviewer and the practice. Craft a simple one-time response and do not get pulled into a discussion online. Responding multiple times can improve the searchability of the negative review. The review site may also be reluctant to remove that review if they see it substantiated by the dentist. Sometimes the best response is to just to thank the reviewer and ask them to contact the office so you can help. Libel is defamation through the use of false words or pictures. Severe defamation can negatively impact your practice, so it’s worth your time to work diligently with the review site to have libelous content removed. Check the site’s Terms and Conditions section for the best method to do this. If that fails, contact a lawyer for more options. If you are going to pursue removing a review, responding to the review will only make it more difficult to have it removed. Familiarize yourself with the sites where patients leave reviews. Learn how to use their tools to respond and resolve conflicts. 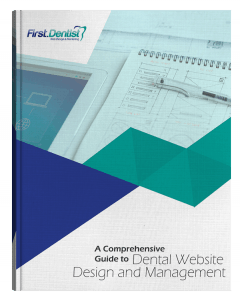 Most sites have a process that allows dentists to respond or even have a review removed. It is unlikely that a negative review is a reflection of the dentist’s technical competence. Rather, it’s often a result of a patient’s dissatisfaction with their overall experience at your practice. Common complaints identified in online reviews include day-to-day management of the business, unpleasant encounters with staff, and difficulty booking or managing appointments. You can use the critical response to improve processes and procedures at your practice if you feel the complaint is valid. Respond to the review with any changes you’ve made as a result. When a patient criticizes your treatment choice, use the opportunity to educate the public about dentistry. For example, if you performed a certain procedure, explain why a dentist would make that choice. Again, do this without referring to the specifics of the patient directly. When you respond, write as though a regular person was speaking. Do not lecture or take an authoritative tone, and avoid jargon that the public may not understand. People don’t like robots, textbooks or know-it-all professionals, and taking the wrong tone can make the situation worse. Present yourself as a real, concerned and caring person. Patients like compassionate people they can relate to. Reach out by letter or phone to unsatisfied patients. Here’s a sample response: “I saw the review you posted on Google and I’m sorry about your experience. Because dental treatments are often so complicated, we can’t always guarantee a specific outcome. Even though the complications were outside of our control, I understand why you feel the way you do. I want to compensate you for the bad experience. I have enclosed a check for the full amount of your treatment. I would be more than happy to work with you to repair the complications stemming from the treatment.” This type of response could go a long way in helping to change a patient’s review. The damage from negative reviews can be far more expensive than reimbursing a patient. There are many practices that have mastered the art of responding in a proactive way. Research a few practices with excellent online reputations and note how they have responded to negative feedback. Most dentists have thousands of patient visits every year. Out of those patient visits, their practice can end up being defined online by one or two patients who leave negative reviews. A large percentage of online reviews are left by people who are unhappy and feel unheard. They post online as a way to vent. Most dentists’ online reputations are not representative of the general satisfaction of their patient base. Happy patients often tell a friend or two, while an unhappy patient tells anyone who will listen which, in the digital age, can be hundreds or even thousands of people. The solution to this pollution problem is dilution. Review generation and management software like Proven Local™ help dentists to proactively manage their reputation and generate positive online reviews. It can also direct negative experiences to the front office to be dealt with privately rather than publicly online. You can even ask patients to leave a review using an online terminal before they leave your office. You may want to consider proactively asking patients to provide an online review. To ensure a healthy mixture of positive reviews, consider reaching out to patients 48 hours after they visit. While you can encourage patients to post happy reviews, don’t offer incentives to patients for leaving reviews. This includes free services, raffle entries, flowers, teeth whitening, movie tickets and other giveaways. The Federal Trade Commission (FTC), requires any incentives to be disclosed in the online review. Unfortunately, an FTC-compliant review will look like this if the incentives are disclosed: “Dr. James did some incredible emergency work on my teeth on short notice. He gave me free teeth whitening to leave this review. This review is truthful even though I received compensation.” It’s better to solicit reviews with follow-up emails or texts from a reputation management software service. You’ll get more authentic reviews from people who want to leave them. Because hygienists often spend the most time with patients and develop a positive rapport, consider having them ask your patients to leave a review. Patients are not only making choices about health care providers online, they are actively shaping the decisions of others by creating online content. From testimonials and reviews to local Facebook groups, the reputation of your practice is increasingly being defined online. It is essential that your dental practice is proactive and deals effectively with negative reviews, positive reviews and all of the online content being generated about your business. Your practice’s online reputation is one of the most important marketing assets you have – and it will continue to grow in importance over the coming years. Implementing a strategy now will add immense value to your practice in the future. First.Dentist offers a free, one-hour strategy session to review your online presence and local competition. During this complimentary session for interested dental practices, we’ll examine your online reputation, search engine listings and marketing strategy. Contact us today for more information and to book your session.